JRP Services has an elite team of land clearing and rubbish removal professionals. We can tackle nasty tangles of weeds, thick entwined bushes, tall grasses, or any other shrubbery you throw at us. If you’re looking to build a new structure in your landscape call on us to clear your land. If you’re looking to start a garden plot, let us clear your land. 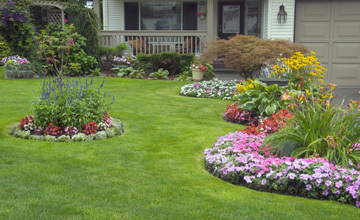 If you’re sick of looking at a messy heap of plants in your yard, give JRP services a call! JRP Services has all the right tools to get the job done, so we can take on any size of job, small or big. On a large scale, we have cleared and grubbed swamp, agricultural, forest, and mountain land for reservoirs, power transmission lines, roadways, pipelines, railroads, airports in Houston TX. We also perform tree stump removal, and rubbish removal. Contact us today, because at JRP Services, one call does it all! Remember to check out the rest of our services, including demolition services ranging from residential demolition to concrete removal. We can also perform complete lot clearing & grading if you’re seeking to turn a mess into a tabula rasa! Remember that lot clearing may require a permit, as it may impact the environment. JRP services understands local law on lot and land clearing, and we’ll help you understand the steps that need to be taken, and we’ll put a plan in action. We’re experienced at getting a permit to you quickly, so we can start the job soon and start the job right. And you can move forward with your project!